CP Holiday Train Arrives Thursday! 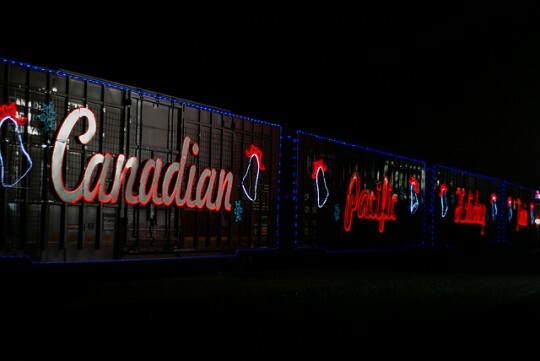 The Canadian Pacific Railway Holiday Train will roll into town this Thursday, December 2nd. The train will arrive in Windsor at 6:00 pm at the CP Train Yard @ Erie St. West and Janette Street or on Caron Avenue, just off of Wyandotte St. West. This is the 12th year that the Holiday Train has been raising food, money and awareness for food banks in communities across Canada and the U.S. To date, they have raised $4.8 million and 2.3 million pounds of food! The Holiday Train organizers urge you to bring a food or monetary donation to support the food banks. Come see the six-car, fully lit Christmas train and enjoy holiday carols and songs by traveling entertainers! You can also check out the CP Holiday Train Blog for more info.